So the children should be settled back into school after the Christmas break by now and I bet a fair few of us have decided that 2016 will be the year we are more organised. 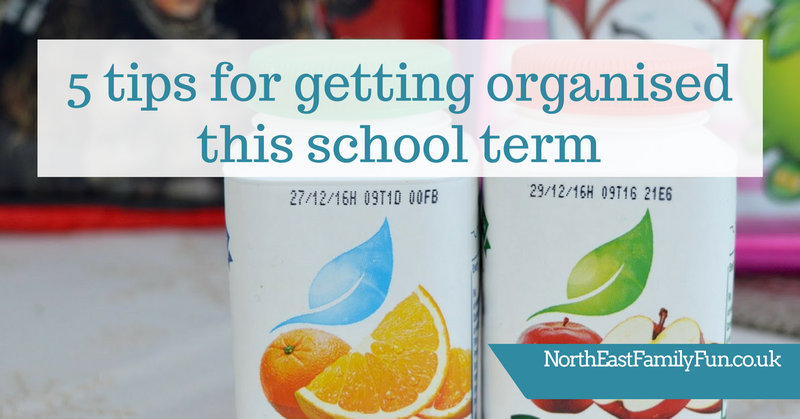 No more searching the house for missing school shoes with minutes to spare, no more finding out about school assemblies before it's too late and no more finishing breakfast as you walk through the school gates. Sound good? All of this can actually be achieved - all it takes is a little pre-planning and organisation. 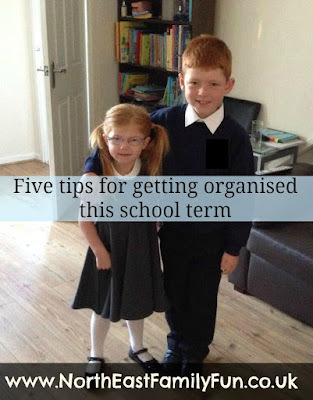 Most of the time I am left to organise the children and the school run by myself as my husband works 12 hour shifts, here are some little tips I have picked up along the way that may help you escape from school-run hell. When my children are in the bath I get all of their uniform out ready and pop it on top of their drawers. I make sure their polo shirt buttons are undone and everything is the right way around. My children now get their uniform on themselves as soon as they get out of bed which is great. I make sure a hairbrush and bobbles are on top of my daughter's pile too so no more searching in the morning. It is important to only use one diary for everything - that way you consistently look at it so are less likely to miss something. As soon as newsletters arrive home containing important dates make sure you transfer them over to your diary straight away. Include all the information you need for example if it is non-school uniform day and children need to donate £1 - make sure you write this in! Otherwise, when the day comes you'll be frantically texting other mums en-route to school asking how much you need to take in. I have a weekly tear-off fridge planner (I can't recommend this one from Wilko enough - it's only £3) that I complete at the start of every week - I write our meal plans, important school dates and any other important information for the week on there and stick it to our fridge door. This means that the whole family can look anytime they want (and hubby has no excuse for turning up late to collect kids from after-school club). We have three children at the same school so end up with 3 x copies of everything. Spare copies go straight in the recycle bin and one copy of each letter is pinned to our kids' notice board in the conservatory along with their certificates and artwork. This original letter can be referred to whenever needed. I clear this board every 2 months (or when it gets so full that I can't pin anything else to it). This is SO important. Children will rarely tell you if they have a letter, award, homework or even an invitation in their bag. Make sure you fully empty their bag every night, act on any letters/invites straight away and complete permission slips/forms and place back in their bag immediately before they have a chance to get lost. This way, there will be no shock revelations en-route to school. It seems simple but I have wasted lots of time searching for gloves, coats and especially school shoes every morning - now the children's coats go on the back of their chairs at the dining table before we go to bed with their hats and gloves in their pockets and their shoes are lined up neatly by the door. Sending children to school is an expensive business - £1 here and there for non-uniform days or cake sales, book money, trip money, sponsorships.....it all adds up and it always seems to be the week when you can least afford it that these letters asking for money grace your children's book bag. I now have a 'school fund' jar and save 50p per child per week which equates to £26 per child per year. This is usually more than enough to cover the cost of these extras and it is one less thing for me to worry about. Just make sure if you need to dip into it at any point you replace the money you've taken asap. Do you have any tips to ensure we escape school run nightmares in 2018? Yeah you will have it all to come again soon. The worst part is the endless months of going to school three times a day when the youngest is in nursery and middle child in school. Jack starts full time school in Sept - can't wait! I think I could probably write the opposite post to this - how not to do school mornings! Even though our kids are older it's still a nightmare; this week we've had lost key, lost glove, lost hat, unsure which timetable is being used, pack lunch boxes left in bags, etc etc. Oh dear - I fear it may get worse when my children become more responsible for themselves and their own belongings! Haha I wish I looked like a machine! It needs to be like a military operation though doesn't it - as soon as one thing goes wrong, everything does! So far we are keeping to our regime and figers crossed we have all made it to school in one piece and it time! Good tips! My best tip from elsewhere (I cannot claim credit for it) is to take a photo of every piece of school correspondence you get that you will need to refer to at least one more time (ie not stuff that can be chucked straight into bin). Create a separate folder for it in your photo app. 'Share' that folder with your partner or whoever else needs access to school info. Then you both have instant access to all the school correspondence whether you are at home, or out and about. Even when I am at home, I still find scrolling through my photos folder for the letter I need less onerous somehow than finding and referring to a physical piece of paper.